To paraphrase Tony Blair on his priorities when becoming UK Prime Minister, the three reasons we are carrying out the Bauhinia Genome Project are education, education, education. Through motivating the Hong Kong public to help solve the interesting origin mysteries of their floral emblem we hope to educate in three ways. Firstly, educate the general public on the implications of the genomics revolution, to make better and more informed decisions in an area that is increasingly changing our lives in the 21st century. Secondly to educate a new generation of data analysts and scientists to capitalize on and benefit from what is predicted to become the biggest “big data” of the coming decades. And finally to educate already established researchers to the benefits of these new open science methodologies that will speed up and democratize research. Education Part 1. Promoting genomic literacy in the public. Genomics, the study of the genetic instructions of organisms, is such a rapidly growing field, the general public are understandably finding it hard to keep up with the advances and their implications. The potential to tackle the growing global food crisis, infectious disease outbreaks like Ebola and Avian flu, and revolutionise healthcare needs to be balanced against fears of “frankenfoods”, designer babies, data privacy and genetic discrimination. Education and transparency is essential here to allay those fears, and the public needs sufficiently literate about the potential benefits and consequences to make the important decisions required for our health and wellbeing in the 21st century. We’ve tried hard to increase awareness of those issues by speaking in the press (see SCMP), speaking on the radio (see RTHK3), and speaking on TV (see CNN) about these issues. Also releasing educational materials and videos in English and Cantonese. We’ve done public talks, and also participated in the TEDx Wan Chai open mic night (see the video). We’ve also be talking next week at the DIYBIOHK “Lets talk about science” monthly meetup night at Makerbay, so watch this space for more details. This type of education needs to start early, and we’ve gone into classrooms to talk to school children about the issues, and let them grill us on what the implications are. 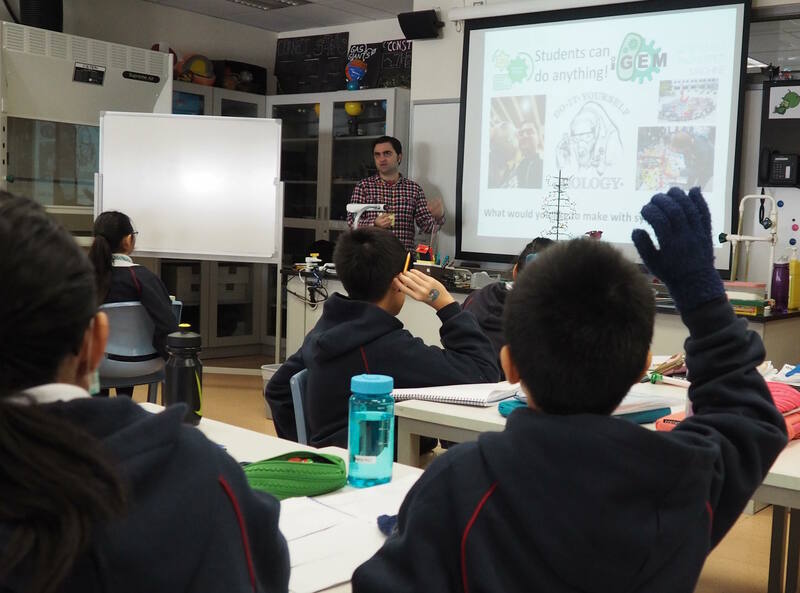 We must give lots of thanks to Michelle Pardini and the Hong Kong ICS School for letting us present science classes to all the year 6 students (11/12 year olds). We showed them the process of DNA extraction from strawberries, and they all had fun crushing the cells and touching the DNA. They helped us develop a lesson plan, with tests, videos and demos, and to maximize the use of these we’ve posted them on our blog, and also made them discoverable, reusable and adaptable by uploading them on OER commons, a website for sharing of open education resources. If you are educators feel free to use and build upon these materials, and if schools in Hong Kong want us to come and present it again feel free to contact us. Education Part 2. Equipping a new generation for the challenges of the coming genomics century. Teaching school children is only the first step in the education program, with university students potentially the most important audience to target, as they are the ones taking critical deciding the path of their careers. Genomics data is predicted to become the biggest “big data” in the 21st century, and while Hong Kong has become a world leader in the area of genomic data production, most of this data is taken to mainland China, Europe and North America where it is analysed and exploited. To promote a more diverse, knowledge based economy for Hong Kong genomics should be a perfect area to focus on and train a new generation of genomicists and data analysts. This is why Bauhinia Genome involves educators at Chinese University of Hong Kong involved in teaching Bioinformatics and Genomics. On top of the raw sequencing data providing material for MSc. 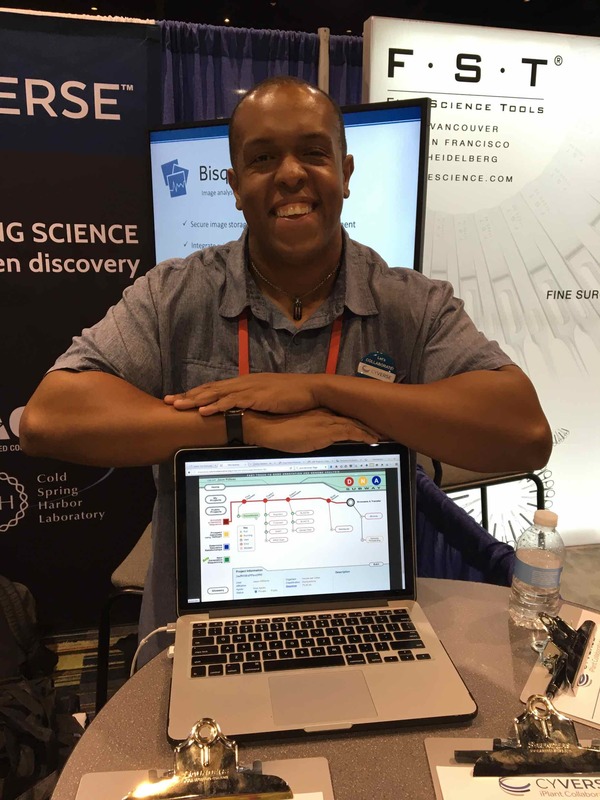 projects to assemble and annotate the genomes, using the online and free CyVerse DNA Subway education platform is simple enough to use that undergraduates and even High School students can handle the high-powered computational tools that drive modern biology (see picture of Jason Williams from Cyverse giving it a demo). We’ve extracted RNA from our Bauhinia specimens and are waiting for them to be sequenced, so we’ll very shortly have data that students can start getting loose on. Education Part 3. Teaching Open Science to Hong Kong. The final education goal relates to updating the knowledge and data skills carried out by already highly educated scientific researchers in Hong Kong. 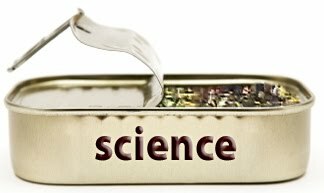 Open science is a growing movement to make scientific research, data and dissemination accessible to all. This is increasingly becoming the usual way to do things in North America and Europe, where research funders are aware they maximize the benefits of the science they invest in by making policies that ask for data and methods to be shared. This unfortunately is not the case in Hong Kong, ranking lowly on the global Open Data Index, and lacking any policies being enforced here. Another related issue is the “replication crisis”, where research is not able to be reproduced by others. This is incredibly wasteful, and this lack of transparency also makes it easy to carry out fraud. New, open, transparent and more efficient ways of carrying scientific research are being developed, and as an “Open Science” project we hope to lead by example, showing that citizen run projects can be more efficient working in this manner. And may even have greater impact that the closed untransparent ways of working that many of the research community may do here. Before we started the project we carried out “pre-registration”, a process increasing the credibility of scientific hypotheses, and reducing the chances of fraud, by reporting in advance what will be analyzed and reported. Doing this through the Open Science Framework, we are also saving all our materials in the platform, such as our RNA extraction quality control statistics. One the first data is completed we will immediately make it available from the GigaScience GigaDB database, and also upload other relevant data and protocols to relevant databases and repositories such as the SRA (for sequencing data) and protocols.io (for protocols). We’ll also follow best practice regarding metadata, using and making available checklists for this. Any final outputs will also be published open access. Hopefully by leading by example in this way, on top of maximizing the potential use of data produced, the education benefits derived will span school children to the most senior professors. The latest update from BGI is that the samples are in the queue and we should have the first data in the next few weeks, so keep following us here and on social media for the latest updates and educational insight.